Go Retro in this classic game now on Switch, but it comes with a less brutal option than it's 90s release. It’s time to go back to 1993 with it being 25 years since the release of Flashback. Thanks for making us all feel old Microïds! Now it’s back on the Nintendo Switch to let more people enjoy a retro classic. But how will it fair in this Flashback 25th Anniversary Review? Given this futuristic, classic platform action adventure game was voted as one of the top 100 games of all time I was looking forward to revisiting it. Flashback gained fame for utilising rotoscoping animation techniques to create fluid sprite character animation that looked incredibly realistic for its time. 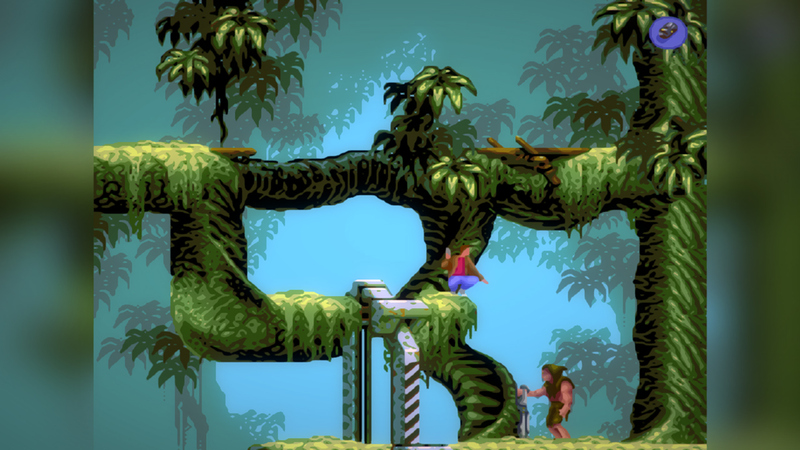 25 years on the Flashback adventure has been faithfully recreated on the Nintendo Switch with all the same storyline, level and graphical assets as of the original game. If you were lucky enough to play Flashback back in the 90’s you will be familiar with the game. If not then pull up a chair and follow this review to find all about why it was such a classic game. Forget everything you might already know about modern platform games. This is the real experience straight from the 90’s. Playing as Scientist Conrad B.Heart you have to explore the multilevel platform world of Titan in which you have to escape from alien captors and try to get back to earth. The gameplay focusses around typical platform exploration where you must traverse, descend and work out how to get past enemies and solve puzzles that are designed to prohibit your progress. 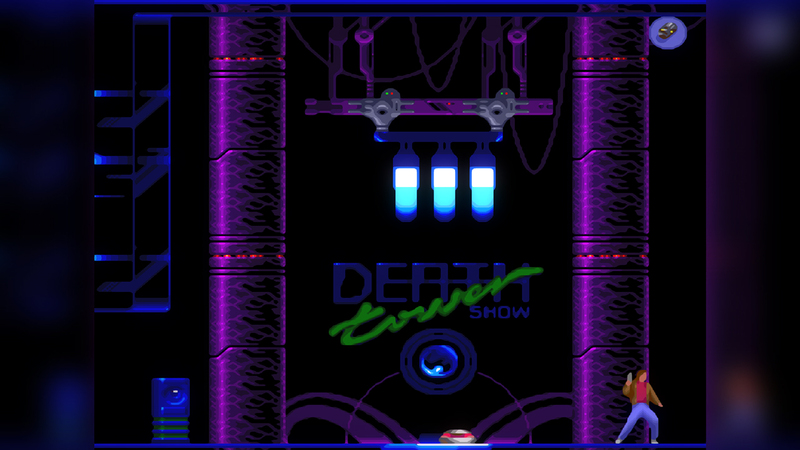 In the original game the difficulty factor was fiendishly high, one mistake, one fall, getting shot or killed by the alien world resulted in an instant game over. Fortunately, this version of Flashback has some new features that smooth over the difficulty. You can play with a rewind feature to allow you to learn from your mistake by allowing you to rewind back before you died and make a different decision. I really liked this is opened the game up to new players and doesn’t punish you for mistakes. Easy mode allows unlimited rewinds, Normal allows 2 minutes per level of remind and expert challenges you with 5 minutes rewind per game! The main character moves with the grace of a cartoon animated character that you would expect to see in a hand-drawn pen and line animated cinematic. I would describe his movement as graceful and certainly not 2 dimensional. Back in the day, this was cutting edge graphics and it would be a shame to forget this and just say its retro 16-bit sprites. The control scheme uses a basic 3 button mapping with movement and interaction on A, accessing and using inventory items on X and Y used to get out your laser gun! Movement and jumping sometimes can be frustrating and you won’t instantly be playing at warp speed. Flashback rewards the gamer who is patient and displays the control finesse of a professional sportsperson. Get your timing right and Conrad will go where you want him to. However, if you rush you will find him falling off the platforms all the time. This game rewards the ‘slowly and carefully’ play mentality. Flashback is not redux or remaster it is a faithful recreation of the original game from the 90’s. The 16-bit graphics which included rotoscoping animation of the character sprites were cutting edge in the 90’s. There were many other iconic games that used similar design and presentation such as ‘Prince of Persia’, ‘Another World’ and ‘Future Wars’ a spiritual predecessor of Flashback. What I really like about Flashback is that it’s not trying to be something new, it has all the features of the original game. The main hero moves with animated grace as he runs, rolls, jumps and climbs his way through the alien landscape. One of the issues with the original game was that it felt clunky with a single digit frame rate. Fortunately, the developer has now got the power of the Nintendo Switch to ensure that frame rates are as close to 30fps as possible. In the game, we also get some funky post-FX filter visuals that can be overlayed to create some additional nostalgia. I really liked adding the CRT filter and noise/static to give me a 90’s gaming experience. It’s also worth noting that the original game was displayed in the 4:3 box format. When played on the Switch it sits in the middle of the screen instead of being expanded to fit the 16:9 screen. You can add some side panels at the side of the screen to give to remove the black boxes if you wish. You can also add a filter blur, anti-alias and bloom to the screen display if you wish. The 2 game modes ‘Classic’ has none of these post FX filters whilst the ‘Modern’ mode has allows the use of Post-FX filters. The sounds in Flashback are very iconic to the moody 90’s era of cyberpunk. If you choose the ‘Classic’ mode you will have the original game sounds and music for a pure nostalgia trip. If you chose ‘Modern’ mode you can enable the remastered and enhanced music and sounds. Both are pretty cool. Flashback has 2 game modes or perhaps I should call them ‘choose your experience’ settings. The original 1993 classic mode is what you would get if you boot up the game on an Amiga or a 16bit console. This mode is the true game which I recommend you play to see how games were back in the day. One warning it is punishingly difficult. It could be the story mode in most cases but other modes in others. Fortunately, there are 3 levels of difficulty so you can tailor your experience. I recommend starting one Easy. The “Modern” mode has some functions to make the game more accessible to the current gamer. I got a younger gamer who hadn’t played the original game to try out Flashback. He remarked that it was ‘harder than playing Dark Souls” and questioned why anyone would play this is classic mode! The experience you get from playing Flashback can be described as a trip to the cinema. 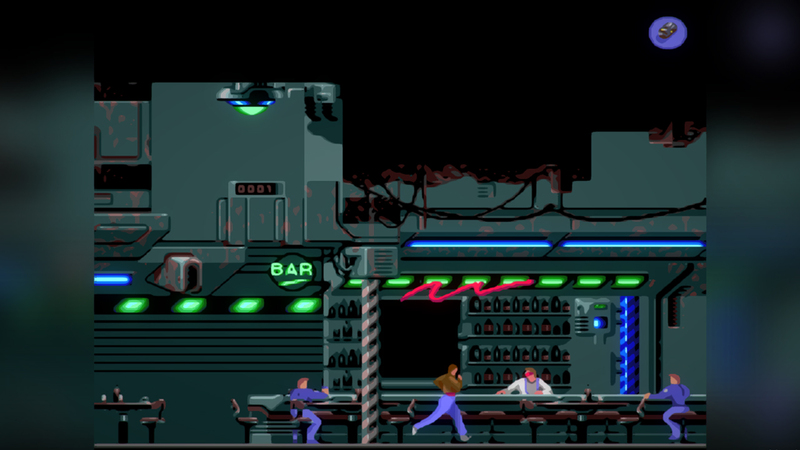 I remember thinking that Flashback felt ‘old skool’ back in the 90’s and reminded me of the ‘Blade Runner’ experience. Should You Play Flashback 25th Anniversary? Flashback is all about an ‘old skool’ retro nostalgic trip. It’s a benchmark in bringing old games to new gamers and new hardware. It’s got aliens, jungles, sci-fi worlds, laser guns and a gut full of cinema grit. 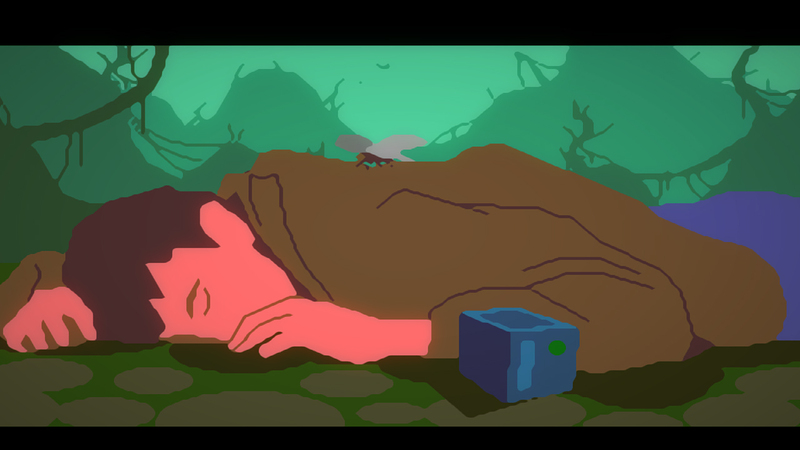 Overall Flashback is a unique game that offers modern gamers the opportunity to experience the golden age of platform action adventure on current game consoles. Flashback is a bittersweet reminder of how we used game in the 90’s and is all about the gameplay experience. I thoroughly recommend you give it a look in. If you like retro games or have played Flashback before you will be in for a treat with this anniversary edition on the Switch. If you enjoy a story driven cinematic production value games you will find yourself easily lost in the narrative. However, if you want your hand holding, to be given popup prompts telling you where to go and a modern platform action experience you will not find this in Flashback. Flashback may not be for you. If you’re curious and willing to give Flashback a try you will see why its one of the top 100 best voted games of all time. You've read our review, and maybe a few others on this title. Are you interested in getting Flashback 25th Anniversary? Have you already played it? Game Reviewed: Flashback 25th Aniversary digital edition, provided by the publisher. 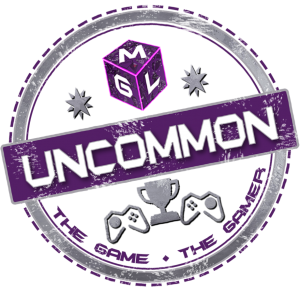 This game has been awarded MGL Uncommon, a game that is decent and has one or two things about it that make it worth playing. Even if there are issues, it may suit a niche audience. Our rarity rating system is a little like loot, and games in this category would be traditionally scoring around 70-75.